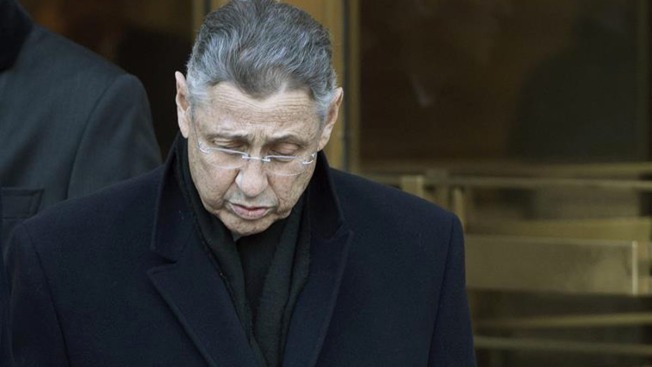 Sheldon Silver's wife cited his prostate cancer diagnosis in a letter to a federal judge seeking sentencing leniency for the disgraced former New York State Assembly speaker. In the letter to judge Valarie Caproni, Rosa Silver asked for "as lenient a sentence as possible" and said that his father and brother both died from the same kind of cancer he was recently diagnosed with. "I am afraid he will be sick, and even worse, alone," she said. The letter comes weeks before Silver is expected to be sentenced on corruption charges for bartering his power to earn $5 million. Prosecutors on Wednesday urged Caproni to set an example by sending the 72-year-old to prison for more than a decade and noted that federal sentencing guidelines call for prison stints of roughly 22 to 27 years. Silver, in his own letter to Caproni, said that he "failed the people of New York. There is no question about it." "As I will continue to do every day, I apologize to the court, the people of the state of New York, and most of all my family that has stood beside me always," he said. During a hearing Wednesday, Silver's lawyers noted that his legislative district included the site of the World Trade Center. They cited letters praising his work on behalf of constituents after the 9/11 attacks and after Sandy devastated the region in 2012.